A super light 80mm dropper post that can be cut to length to further reduce weight. After the success of the popular REVIVE there were lots of requests for a shorter travel, reliable and super light dropper post for the Marathon and XC side of our sport. Problem: XC/Marathon is not exactly where we come from, so we did a lot of careful listening, discussing, designing, testing and tuning with people and companies, who know what they want and need. This includes Italian DMT Racing Team with UCI Mountainbike World Champion Tiago Ferreira, Hans Becking, Jose Dias and Ieva Veckute, who will be on the DIVINE SL for the 2019 racing season. Based on the experience with our patented REVIVE technology, we completely redesigned the internals and implemented them into a shell, that is designed for maximum weight reduction. The mast is tapered on the upper outside, right underneath the collar, as XC posts simply are not fully inserted into the frame. The mast's lower is tapered on the inside and can be cut off to save extra weight, in case you do not need the full length. This allows weight reduction to as low as 345 grams. 1. The by length adjustable (6mm) paddle on the new Triggy X allows - besides position tuning - for lighter or crispier remote. Triggy X is designed for 1-by drivetrains with left side, under-bar mounting. Triggy X can be mounted to the handlebar via standalone clamp or you can mate it with basically any major brake lever via matchmaking adapters for SRAM, Shimano, Magura, Formula and Hope. 2. The 2-by remote can be mounted on either side of the handlebar and is for the folks who are using 2-by or 3-by drivetrains. It is activated from the top down. 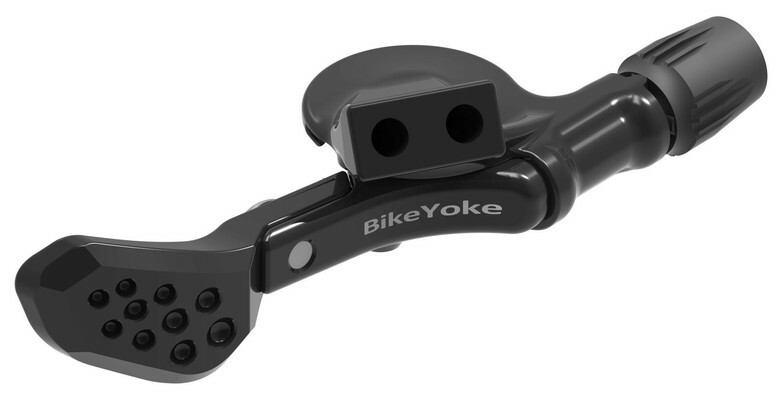 As with all our other BikeYoke droppers, we paid a lot of attention to reliability and serviceability. The DIVINE SL can be taken apart and serviced with basic tools and all service and spare parts will be available at a reasonable price for end consumers. It's a ten minute job to do basic service - no oil spill involved, as you don't need to open the hydraulic cartridge itself. In case you change to a frame with another diameter but want to keep your post, just swap the lower tubes. 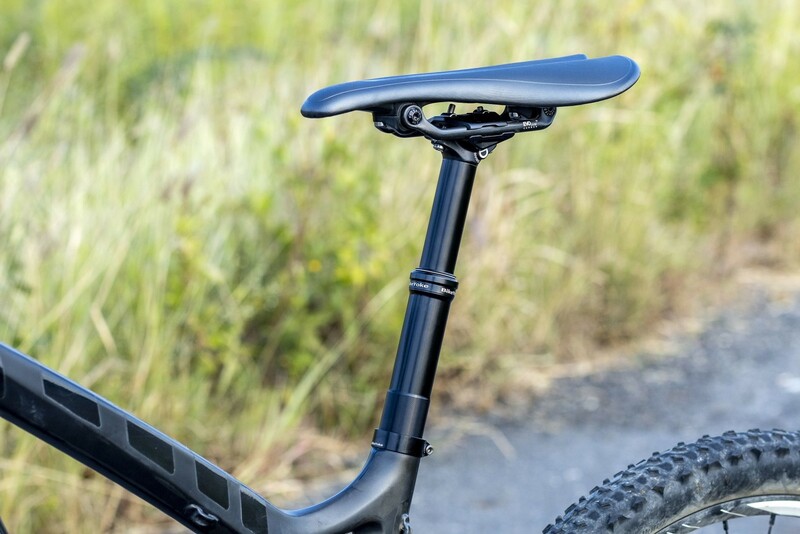 Speaking of diameters: Of course we know that a lot of XC Hardtails still use flexy 27.2mm posts, but as to date, we simply do not feel confident enough with marketing a reliable 27.2 post. If we are doing it, we're doing it right and so far, we haven't found a solution that we are happy with. Customers from Northern Europe have actually sent us lots of e-mails, highly appreciating the REVIVE's low temperature functionality and we're sure they'd be just as happy with the DIVINE SL: Sub-zero temperatures may bother you, but not the post. All orders directly from www.bikeyoke.com will come with a free pair of funky pink or blue BikeYoke socks when placed before Christmas. I'm just boggled as to what that frame, tire, and saddle are. I've seen such designs before, but can't put a name to them. FRM ob-1 dropper is 100 grams lighter for 60mm drop. And it has been tested on world cup and cape epic level. I am sorry, but FRM Obi1 seatpost is not even available on FRM´s own website. Maybe you can tell me, why? Where can you buy it, or where can you find information about it, besides the old articles? Also the FRM weight is for 60mm drop and 27.2 diameter. 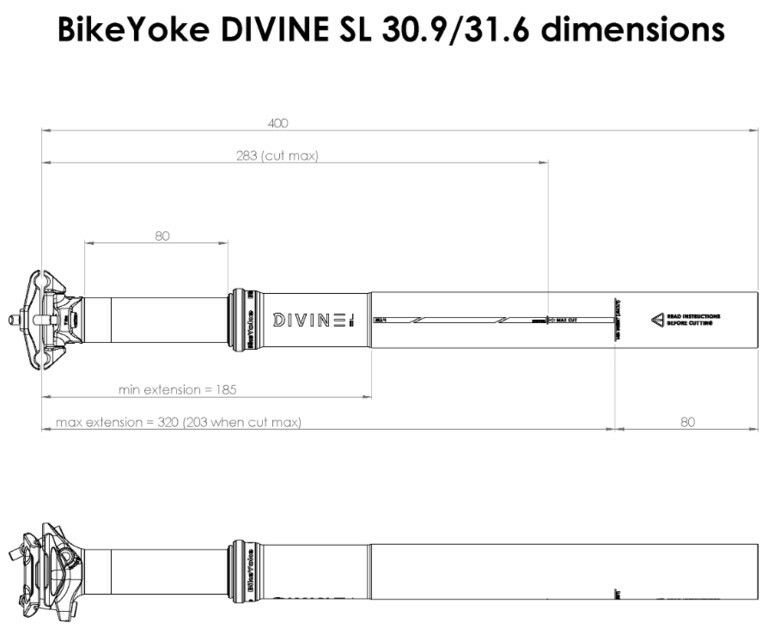 DIVINE SL is 30.9 an 80mm drop. Quite a bit of a difference. It is available on the site last time I checked, you can ask frm any questions I do not work for them. 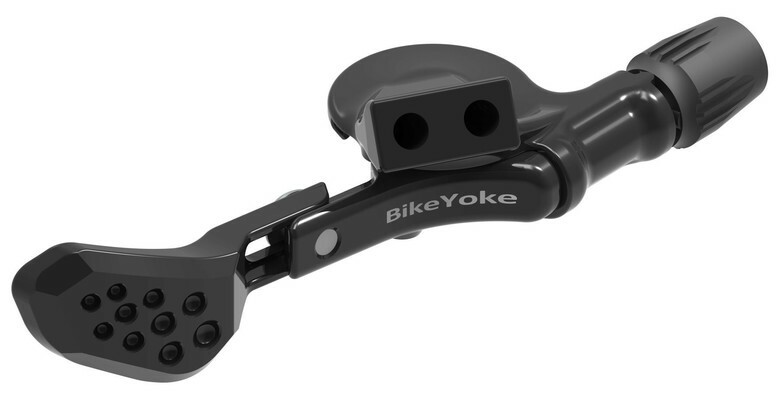 Since you work for bike yoke, can you tell me where / who does your testing? I have seen the fmr at cape epic, marathon and xc wc, etc... It is much lighter and 60mm is what pro xc and marathon use. TRM Obi1 has not been shown on their website for quite some time. We´re checking our competitors regularly. Why the post is not on their website anymore, I don´t know, and I do not want to speculate. As mentioned before, the FRM´s weight is based on 27.2 diameter. Of course it is lighter. It has only 60mm of travel. If you want to use it in a 30.9 or 31.6 seatttube, you´d have to use shims, which weighs, as wel. As you may know (or not know), Specialized EWS factory racing has been riding our posts for the past two seasons, Orbea was involved in the research for the DIVINE SL, and DMT Racing Team will be on our DIVINE SL for next year. How do you come to the conclusion, that 60mm is, what pro XC and Marathon use? Just because there has been no alternative in the past? A dropper would help take the sketch out of my stupid road bike. Think I'd get one fer shure if I rode that thing >3x a year. This dropper post is not for my discipline of riding, but I enjoy seeing further improvements such as this one displays.